The Press of Robert LoMascolo: Bookbinding Workshop. . . .
Bookbinding Workshop. . . . 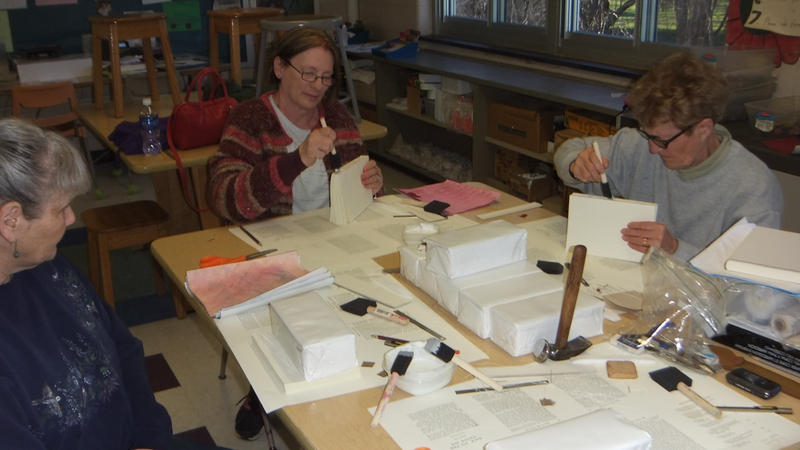 I will be offering my bookbinding workshop again this Fall! I only do these classes because I enjoy teaching them, and I know you will enjoy it too, not to mention, you get to take home a really nice product at the end. “Make a Journal or Sketchbook” is 4 sessions, held from 5:30-7:30 on 10/11, 10/18, 10/25, 11/1 at A. J. Smith Elementary School in Union Springs, New York. *Please note that the Union Springs CSD flyer incorrectly lists the workshop as 6 sessions.